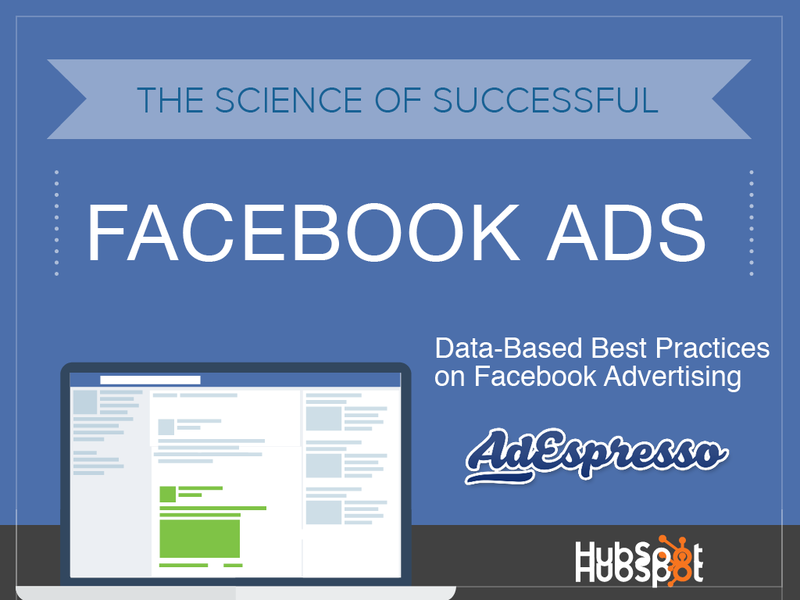 A successful Facebook Ad is made of 2 components: a great design, targeted to the right audience. In this eBook we focus on that first part. 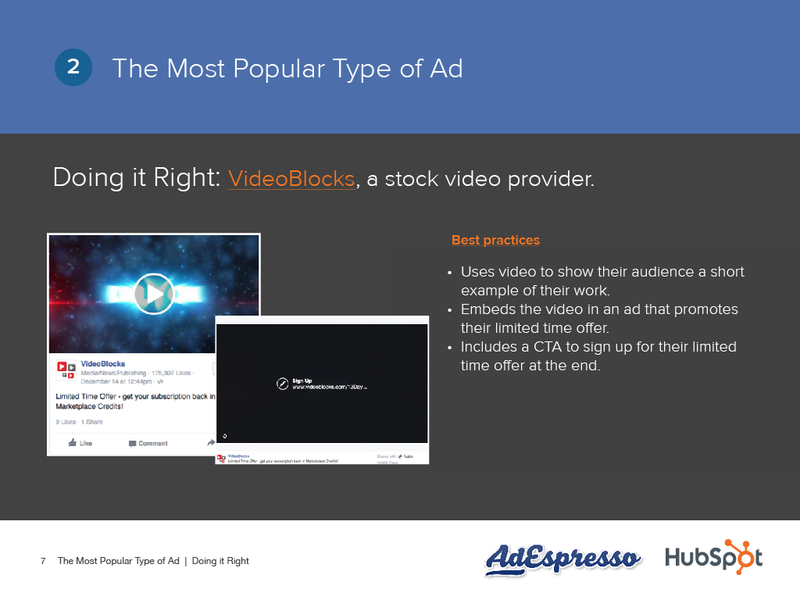 By analyzing over 100,000 real world ads we’ll show you what’s trending right now. 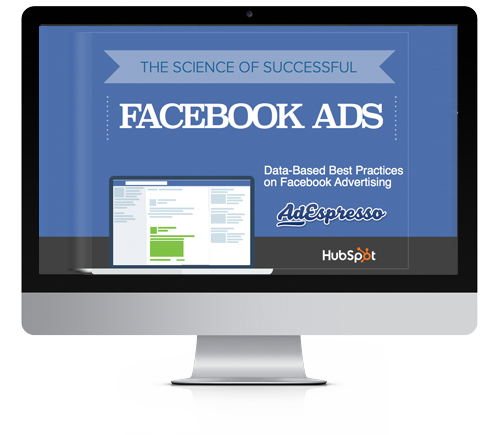 We'll not only provide you with the science and data behind a successful Facebook ad, but we'll also give you actionable best practice tips as well as highlight examples of companies who are doing a great job. 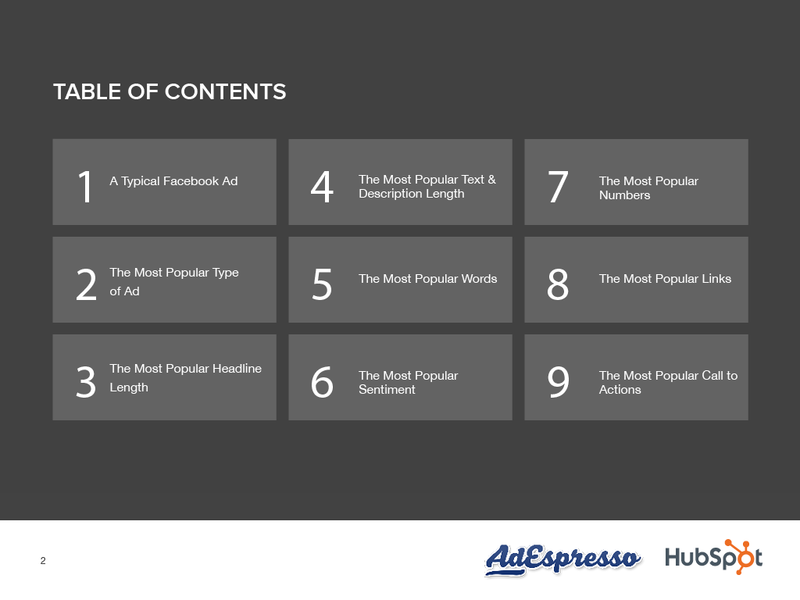 Download this guide from AdEspresso and HubSpot to learn how to create the perfect ad based on real data around the optimal headline length, most popular words, numbers, and sentiments to use, and a whole lot more! 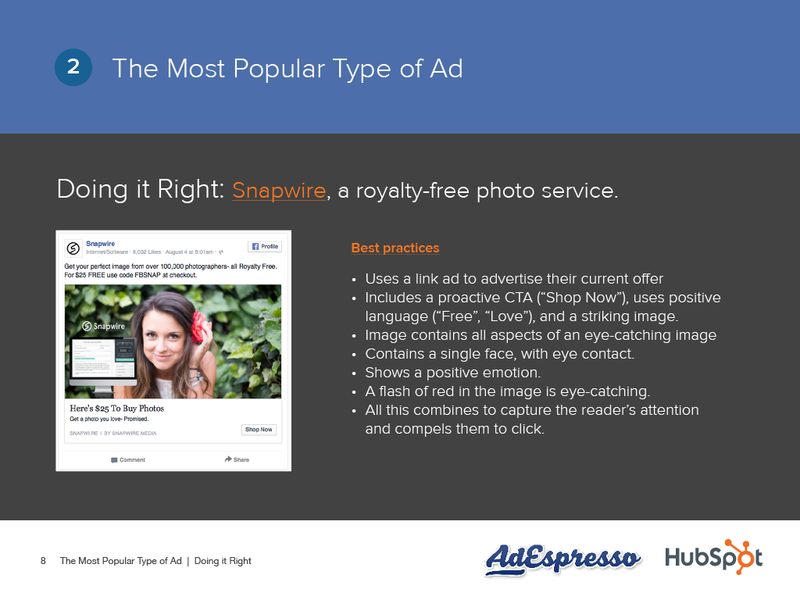 By supplying your contact information, you authorise HubSpot and/or AdEspresso to contact you with further information. 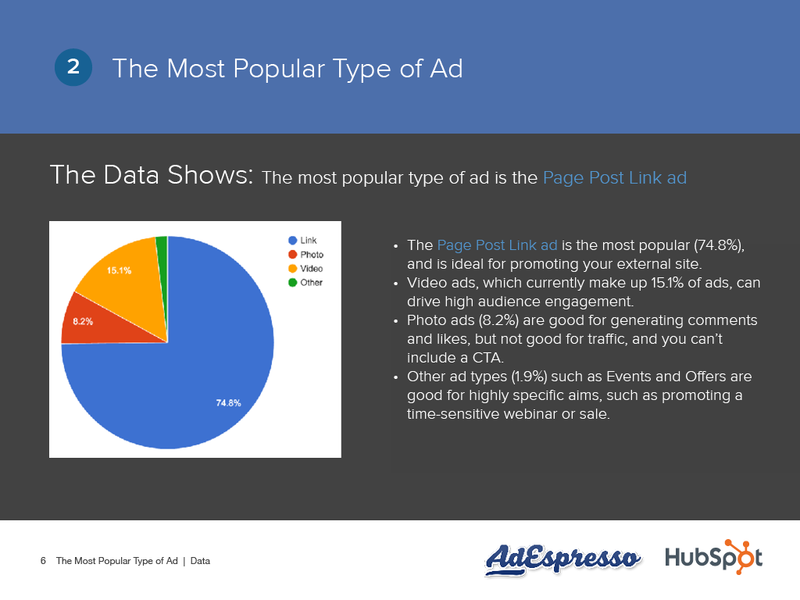 You further authorise HubSpot to pass your information to AdEspresso for these purposes.